Over several months, the investigation team painstakingly poured over 27.5 million documents from previous data leaks to reveal how the region’s elites hide billions offshore. To find out more, we gave subscribers to our Conversations with Data newsletter the opportunity to ask Will Fitzgibbon, from the International Consortium of Investigative Journalists (ICIJ), and Daniela Q. Lepiz, from the Norbert Zongo Cell for Investigative Reporting in West Africa (CENOZO), questions on the investigation. Here’s what they had to say. What was the starting point you used to begin analysing the data? Will: Data is never the be all and end all. One misconception some people -- even reporters -- still have is that leaked documents tell a complete story. That’s rarely true and certainly isn’t true with any of these offshore leaks. So, the starting point of West Africa Leaks was explaining and understanding the offshore system. Why would someone want to use a Panama shell company? What does it mean if the person uses a nominee shareholder? 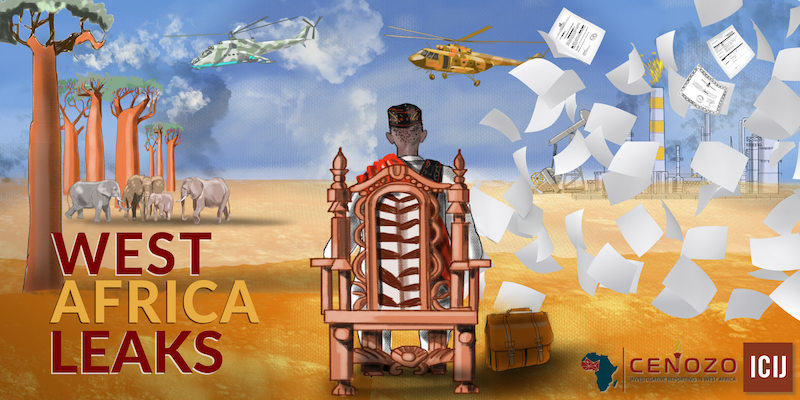 What laws, if any, in Mali, Senegal, Niger or Liberia require citizens or politicians to declare financial assets? Even if it isn’t necessarily illegal to use an offshore company, why is this still an important story to tell? We needed to ask the big questions first before diving in. Otherwise, you’re going in blind and likely to get the wrong end of the stick. Daniela: This is key. I would add that we took advantage of Will’s experience on other previous projects, which helped to lay out the methodology and questions that were likely to take us to the right door. Companies or individuals will often set up offshore structures following the same patterns. With Will in the room, we managed to analyse such patterns and those that had led to successful investigations before. For example, he instructed reporters to “check if the person you are investigating had to declare financial assets according with his/her position in X organisation”. With such advice, the journalist could benefit from knowledge that had already been built up. Will Fitzgibbon leads West Africa Leaks training. Credit: Al Jazeera Listening Post. Were there any instances where data in the leaked documents misled you? Daniela: It would be very difficult for data to mislead us, because we had a strong fact-checking procedure. But each journalist did spend a considerable amount of time analysing documents only to find a blocked road. While all documents are potentially valuable, some of them might need other information to complete the whole picture. It’s not the case that the first document you find will lead you to a story. They might, but will require more work and time. So we had to very carefully consider which of the many, many potential stories to choose. Will: Even leaked documents should be treated as fallible. After all, these are documents compiled by human beings (in the case of West Africa Leaks, documents written and compiled by offshore lawyers, bankers, financial advisers, and so on). For example, there were several cases where the company name was misspelled or changed and we had to ensure we understood when or why that happened, and assure ourselves it was an anomaly and not something more significant. It still surprises me though, after all these years reporting on these leaks, just how comprehensive they are. How did you corroborate and verify the stories that were published? Will: After years of reporting on these documents, we have strong confidence in them. But still, every leaked document must be corroborated and verified. So, for example, if the address of a politician was given at a certain street and city in a country, we would use open records (if available) or existing media reporting to confirm that address. We also used online government registries, where available, to confirm the incorporation date of certain offshore companies. Leaked documents are your friends, but make sure you know who your friends are before trusting them completely. Daniela: I would add that the documents are very comprehensive and allow journalists to be really certain of what or who they are working on. Of course, more importantly, all sources involved were contacted. At the moment of publication we were sure of every detail we had. Which programmes, software, or tools did you use to process such a large amount of documents? Will: We’re talking about millions of PDFs, emails, image files, invoices, bank statements and spreadsheets. Some go back to the 1980s and even 1970s! 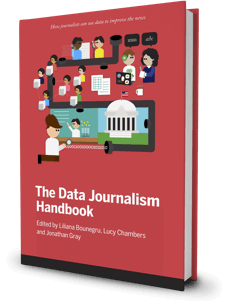 ICIJ has a crack team of data experts who used technologies like Apache Tika (to extract metadata and text), Apache Solr (to build search engines) and others (you can read more about it here -- I’m not one of these data geniuses!). ICIJ’s data team built open source software called Extract that helps make documents machine-readable and searchable. That’s key -- this was how we could search for words like ‘Monrovia’ or ‘Ouagadougou’ and get results. We then use user-friendly web portals, such as Blacklight for the Panama Papers, to which all participating journalists receive secure logins via encrypted email. We also use -- and provide to partners -- programs such as the Linkurious database and Neo4j, a technology that allows data to be converted into much more human-friendly graph form. It was crucial to make sure we didn’t miss anything. When you’re dealing with tens of thousands of rows in spreadsheets, you can easily miss something. Put it in a graph database and it becomes more intuitive. What was the biggest challenge from a technical point of view? Will: In some senses we were at an advantage because large chunks of technical work had already been done. The tens of millions of files had been made searchable by ICIJ’s data team for each individual project. So reporters could search decades of faxes, emails, PDF documents, and so on. One of the specific challenges was something that many reporters don’t often have to think about -- how do you search and download data from an online database if you live and work in a country with limited internet? In any given week in a country like Burkina Faso, for example, you can have four or five power cuts that last half a day. A number of our reporting partners would have to go to hotels or buy expensive extra online credit just to do the research. I can’t even imagine how hard and frustrating that can be! Daniela: From a technical point of view we tried to tackle all possible complications at the moment we met in Senegal. From encryption and security of communication to searching the documents (some even in Spanish!) everything was covered when we met. However, how do you search a database that needs three encryption methods if you have three power cuts within two hours? You can’t download the files, you have to reload every time, re-login, re-start the search, and so on. It is not impossible but it is hard. That is the reality many of our journalists faced. And yet they managed to succeed. Given that the team was located across 11 countries, how did you allocate and coordinate data analysis tasks? Daniela: We carefully planned everything before we kickstarted the project. There is a particular thing here -- each country was its own reality. Despite the database allowing us to search per country, there were also cases in which journalists found foreigners (people not from West African countries) in their data so they shared that with their colleagues. However, we ended up going with country-specific investigations rather than one regional case, mostly because of time. So, in that sense, each country managed its own data. 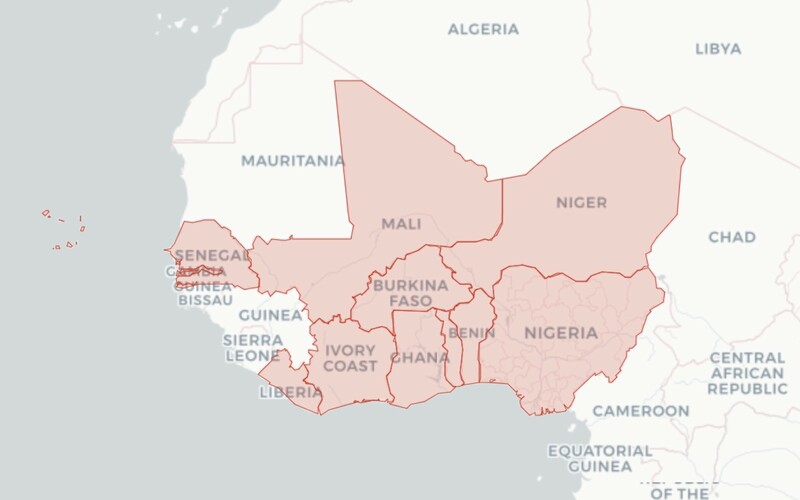 West Africa Leaks reportage spanned 11 countries, marking the region’s largest-ever journalism collaboration. Credit: ICIJ. What do you think was the most important story from the investigation, and why? Daniela: Each one of our stories were carefully chosen and carried out with professionalism. We were convinced of the importance of telling the stories that we chose and not just reporting on any story (this database is a never-ending box of surprises!). In that sense, I think each journalist was committed with their own reality, I can’t say one was more important than another, all them were of a high public interest for their country. Some of them had more impact than others, but that’s a different story and has nothing to do with the quality or importance of the article itself. Were the subjects of the investigation surprised when their dealings came to light? Will: The reactions ranged from the blasé to the outraged. Some people, including those who were listed in Swiss Leaks, have already been contacted by tax officials in their countries about it. So when we called with questions, they weren’t necessarily as surprised. But they were in the minority. 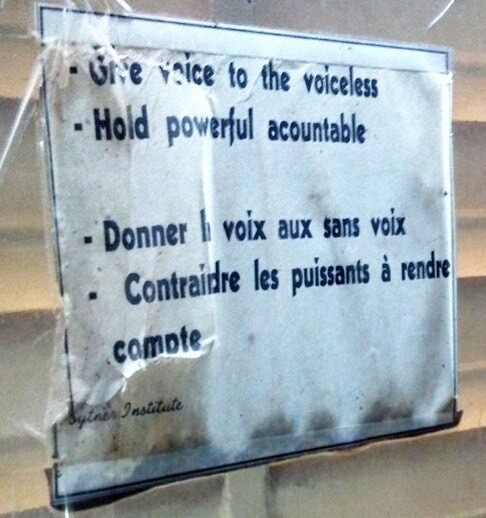 Sign displayed in the office of L’Evenement, where ICIJ member Moussa Aksar is editor-in-chief. Credit: ICIJ. 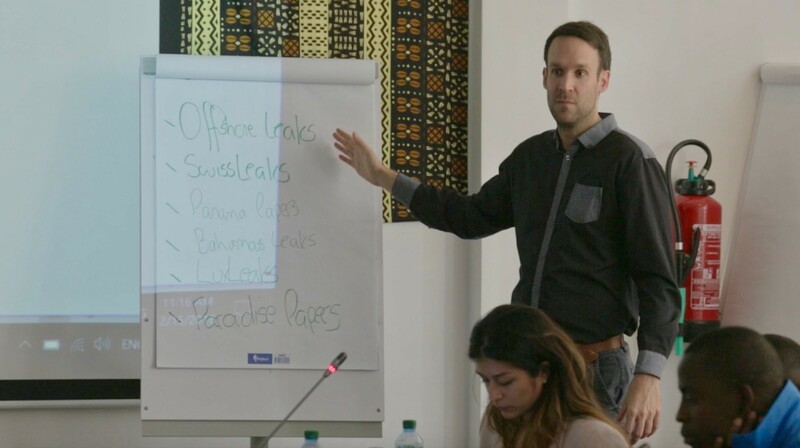 Let’s remember that in many countries in West Africa, governments and tax authorities have not lifted a finger to investigate their citizens in Swiss Leaks, Panama Papers, or Paradise Papers. Some of these people are very senior government members or political friends. So, yes, they were surprised when a journalist finally called up and asked why so and so had had a Swiss bank account or an offshore company. Is the data from the investigation available in the Offshore Leaks Database? Will: ICIJ makes the structured data of its Offshore Leaks, Lux Leaks, Panama Papers, and Paradise Papers investigations available publicly here. This database is like a company registry you might see where you live -- the name of a company, when it was created and where, and who hold shares or official roles related to the company. ICIJ does not, and will not, make all the leaked files publicly available. While these documents are of an extreme public interest, it is also clear that not all documents (such as un-redacted passports and bank account numbers) should be published. Are there plans to extend the investigation to the rest of Africa? Will: Yes! ICIJ and CENOZO have plans to make sure that all of West Africa is covered. 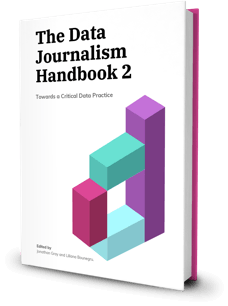 If there is anything that we have learned from major data leaks, it is ‘the more, the merrier.’ Sometimes it takes that one journalist with knowledge about a certain piece of a puzzle to be able to find what hundreds of other reporters missed. ICIJ is also very keen to develop more and deeper partnerships with journalists in Eastern Africa. Daniela: The ICIJ database is a great source of information and a never-ending box of surprises. CENOZO is a regional organisation, so our focus is on all countries -- we will make sure we expand the project.